So I spent a lot of time last night trying to work out which books are in the same years as each other. So here is a quick Bubble Guide! 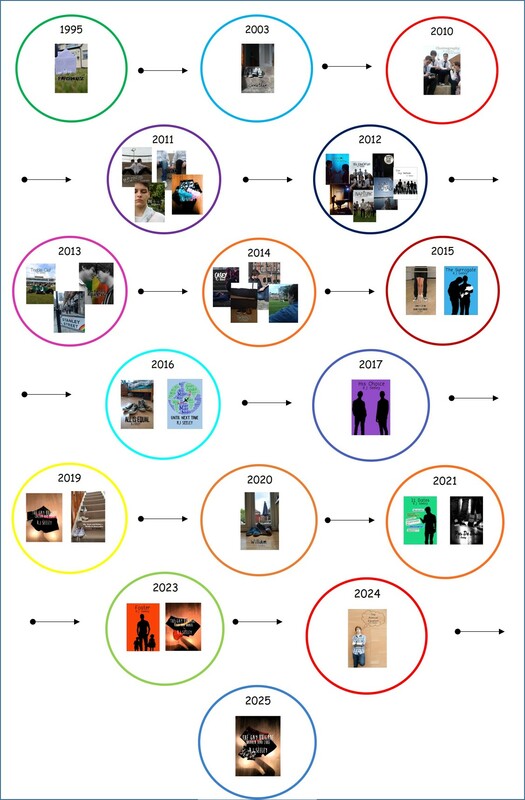 And as we can see from my quick bubble guide is that my books range from 1995 to 2025, 30 years and (just a little fact,) my first book in 1995 includes the characters that are in 2025.